Thornbrook Home Care Inc offers in-home care tailored to meet your needs. Our services can begin with as little as four hours’ notice, and in-home visits can be arranged on a minimum three-hour basis or as required. Need to cancel? No need to worry. We only require four hours’ notice for cancellations. Calls are answered 24 hours a day by a member of our staff, as we always have someone on-call outside of office hours. To learn more about your options for home care, call us today! Canadian war veterans are entitled to a wide range of benefits through the Canadian government, including home care. Our regular nursing visits are usually an hour in length and can mean fewer required trips to the doctor’s office over the course of a year for many of our clients. One of the biggest reasons our clients turn to us for nursing visits is that changes in your health can be more closely monitored and dealt with as they occur. Our nurses serve as liasons between you and your family physician, capable of renewing your prescription medications, reporting any side effects from new prescriptions, and tracking any progress relatable to your medication changes. We also offer convenient in-home blood pressure monitoring. 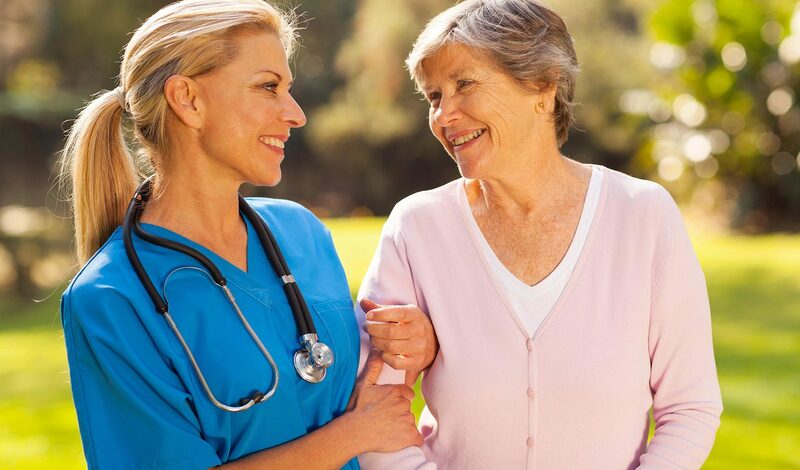 These are but a few of the ways in which our nursing visits can help you optimize and maintain your overall quality of life at home. We can be waiting at home for clients discharged from the hospital, providing a seamless and comfortable transition. In addition to regular duties, our nursing staff will handle all communication with physicians, reporting concerns, changes and developments to family. Sometimes this is all that is needed – a little help around the home, including meal preparation, tidying up, changing linens, doing laundry and looking after various other household chores, along with a smiling face and a few hours of companionship. This is the ultimate solution in many situations, providing one-on-one care at no greater expense than a retirement or long-term care facility. Occasionally, family caregivers need a good night’s rest that can only come from having a reliable overnight caregiver in place to provide the necessary "peace of mind." Cleaning services can be arranged independent of caregiving services.